Temperatures are finally (occasionally) rising above zero, snow is melting, the ground is beginning to thaw, and tiny patches of grass are starting to see a little bit of sun – Spring has finally arrived! It’s coming in more like a lamb than a lion this year, and I’ll admit we have a ways to go before all of the snow is gone, but with Springs arrival comes dreams of running barefoot through grass, lounging by a pool, and outdoor dinner parties. 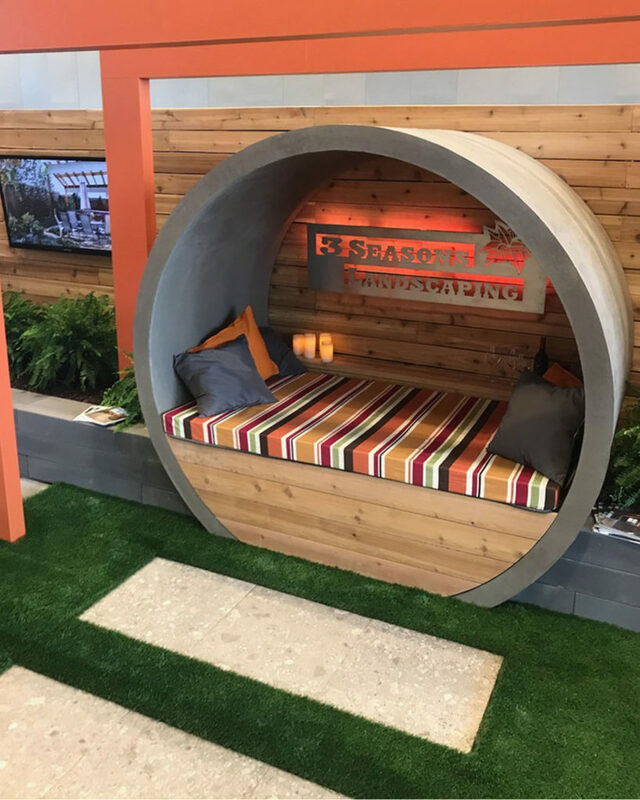 It also signals the arrival of the perfect opportunity to help you reimagine your indoor and outdoor spaces to make all that lounging and entertaining happen – the Winnipeg Home + Garden Show. The show is on from April 5 – 8 at the RBC Convention Centre in Winnipeg and tickets range from five to twelve dollars with discounts for buying online and children 12 and under are free! The show this year features speakers such as Kortney and Dave Wilson from the hit television series Masters of Flip, Todd Talbot from Love It or List It, Vancouver, and Tiffany Pratt from HGTV’s Home to Win; a workshop series where you can try your hand at everything from calligraphy to macramé; a local artisanal craft market; a bunch of contests to enter to win furniture, a new driveway, a fire pit and more; free consults with industry professionals in the Ask a Renovator booth or The Design Studio; as well as hundreds of exhibitors, including us! We have designed another unique display for the Home + Garden Show to help inspire ideas for your own outdoor space. This year a patio of concrete paving stones, which recreate the look and feel of hardwood, surrounds a lush lawn, raised planting beds, and a private nook. 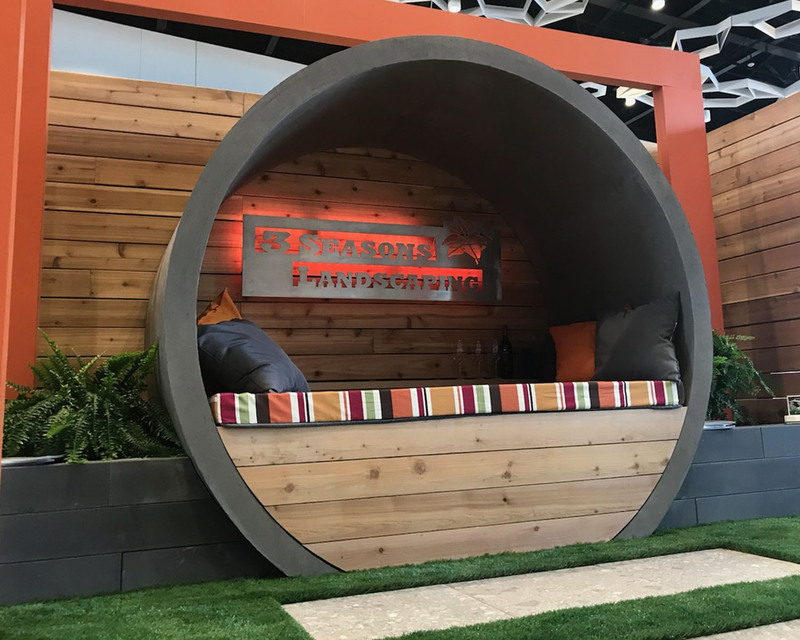 A path of elegant, elongated step stones leads you through the lawn to the highlight of the booth – a cozy day bed ensconced in a contemporary concrete arbor with cedar detailing. It makes me want to curl up with a good book and relax! Our staff, both designers and construction personnel, are available every day of the show to answer your questions, discuss potential projects, and set up future consultations.